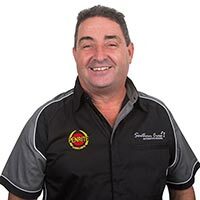 For over 30 years, Southern Cross Automotive Repairs in Mascot has operated a quality car maintenance, car servicing and car repair business. We employ highly skilled technicians who are certified and equipped to handle all major and minor repairs on domestic, European and Japanese vehicles. Matthew Dwyer Matt is our in house Fabricator and Mechanic. He has a passion for Circuit Racing. Matt is our in house Fabricator and Mechanic. 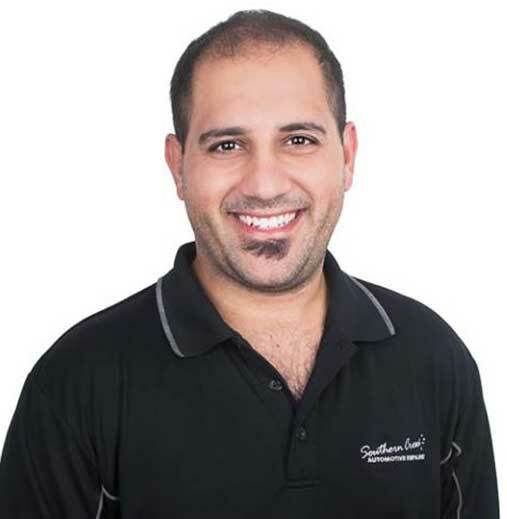 Sam Constandinou Sam is our in house Auto Electrician and Air Conditioning Expert. He has a passion for Rotary’s and Drag Racing. 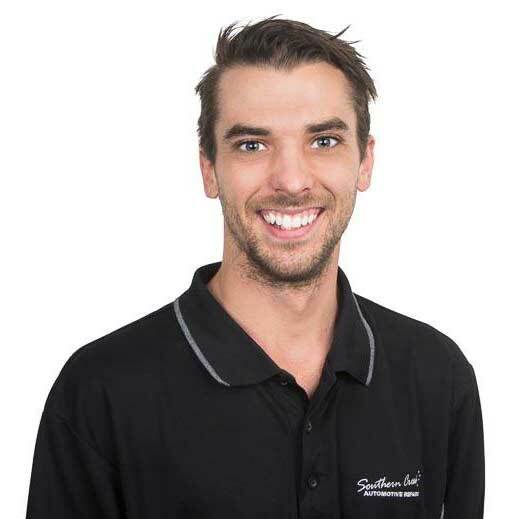 Sam is our in house Auto Electrician and Air Conditioning Expert. Andrew Crabtree Andrew started working in the family business in 2001 and took over the reins eight years later. Andrew started working in the family business in 2001 and took over the reins eight years later. With his knack for problem solving and learning new skills, Andrew has put his individual stamp on the business. However, he remains committed to the quality service and ethics he learnt under his father Geoff. Andrew enjoys 4×4 driving and watching his favourite sport − MotoGP. Sue Crabtree As the respected matriarch of the family, Sue has helped run the business since its beginnings over 30 years ago. 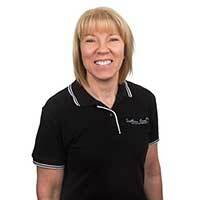 As the respected matriarch of the family, Sue has helped run the business since its beginnings over 30 years ago. She has also been the driving force behind the company’s high standard of customer service. Sue has enjoyed competing in motorsport and has also supported the rest of her family in their go-karting and motorsport pursuits. Geoff Crabtree Geoff founded the company in 1984 laying the foundations of honesty, professionalism and excellent workmanship that continues today. Geoff founded the company in 1984 laying the foundations of honesty, professionalism and excellent workmanship that continues today. Geoff successfully competed in motor racing for many years and has also raced go-karts throughout NSW with his son Andrew and daughter Sarah. Our certified motor mechanics use state-of-the-art engine diagnostics to quickly identify and isolate issues, whether minor or complex to save you time and money. We only use the highest quality parts that are equal to or exceed the standards of the original manufactured parts. This ensures that our car mechanics will have you back on the road safely with a car running smoothly and efficiently. As specialists in engine repairs, including diesel engines, for all types of mid-to late car models, our auto mechanics continuously update their skills with regular training so they are knowledgeable about the latest techniques and technologies. Engine lights on your dashboard are an indication that something is wrong with your car’s auto electrical circuits and that you require the services of one of our experienced auto electricians. The complexity of today’s computerised vehicles means that an array of issues can go wrong with your car’s auto electrics. Often these are simple problems that are quickly fixed, such as replacing car batteries. Other times, it may be a more complicated safety issue related to SRS (Supplemental Restraint System) and airbags or power windows and locks. If your car won’t start, it could be the starter motor and/or alternator. Whatever the issue, our car electricians use the latest technology to interface with your car’s computer and quickly diagnose and repair the problem. Email us or call us now on (02) 9669 5935 to discuss your auto electrical issues. And you will save up to 30% on dealership prices. To make the experience as convenient as possible, we offer courtesy cars and in most cases same-day turnaround. You also have the option of leaving your car for a service while you are away on holiday or for work. We will drop you off at the airport and pick you up on your return. It also means the added bonus of not having to pay for expensive airport parking. Our friendly staff will happily answer any questions you may have about car services. Email us or call us now on (02) 9669 5935. We understand that the proper maintenance of fleet vehicles is a critical issue for most companies. As a fleet manager, you need to ensure fleet cars stay on the road with minimum downtime to maximise the effectiveness of sales, service, and delivery operations. We offer overnight servicing, courtesy cars, and airport drop-off and pick-up for your employees while their company car undergoes a service. Southern Cross Automotive Repairs offers a dealer quality fleet management service for less carried out by our certified, expert auto maintenance service technicians who have years of experience performing everything from oil changes to complete engine overhauls. We use only the highest quality replacement parts, filters, oils, and fluids and our advanced diagnostic equipment will guarantee that your vehicle is repaired and/or serviced correctly the first time and every time. Please feel free to call us on (02) 9669 5935 or even drop into our workshop to witness our quality work first-hand and discuss your commercial fleet services needs. The right choice of tyres and wheels together with efficient wheel alignments and wheel balances will ensure that you are safe and in control when driving your car. Professional tyre fitting and brand choice can greatly influence your safety and driving experience. We stock a large range of leading tyre brands and can advise you on the most suitable choice based on mileage, driving conditions, terrain and budget. Our aim is your complete satisfaction with the work that we carry out on your wheels and tyres. Feel free to call us for a quote over the phone on (02) 9669 5935 or email us. 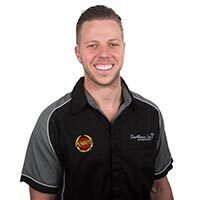 As an authorised vehicle inspection station, Southern Cross Automotive Repairs can handle all your car rego checks and inspection needs including issuing pink slips (now known as “eSafety Checks”) and blue slips in compliance with NSW laws. For cars that are 5 years or older, we will do an annual vehicle inspection and ensure that your tyres, brakes, lights and other core components are in good working order before issuing you an eSafety Check that will be sent to Roads and Maritime electronically. We can also provide LPG inspections for converted vehicles. We are an Authorised Unregistered Vehicle Inspection Station (AUVIS) for blue slips, which is a safety inspection report that proves that a vehicle has passed the required roadworthy, design and identity standards for registration. Car pre-purchase inspections are another area of expertise. We provide a fully comprehensive inspection report after a thorough examination of your intended purchase including all mechanical components and the bodywork. Our truck and 4×4 mechanics are trained in the latest engine diagnostics, so that we can quickly identify and repair a problem. Our car diagnostic or diesel diagnostic checks take away any guesswork by accessing information transmitted by your vehicle’s computer, which is then accurately interpreted by our truck and 4wd mechanics. As a 4×4 service centre, our costs are honest and we guarantee you will save up to 30% on dealership prices. Contrary to dealership rhetoric, you have the right to choose where you would like to have your car serviced and maintained. All our work is compliant with manufacturer’s requirements with equal to original or superior parts. After every truck or 4×4 service, we will stamp your log book to ensure that your warranty remains valid. To make your experience with us as convenient as possible, we offer courtesy cars and in most cases can service your truck or do your 4wd service on the same day. If you are looking for a specialist 4wd service centre, call us on (02) 9669 5935 or email us now.